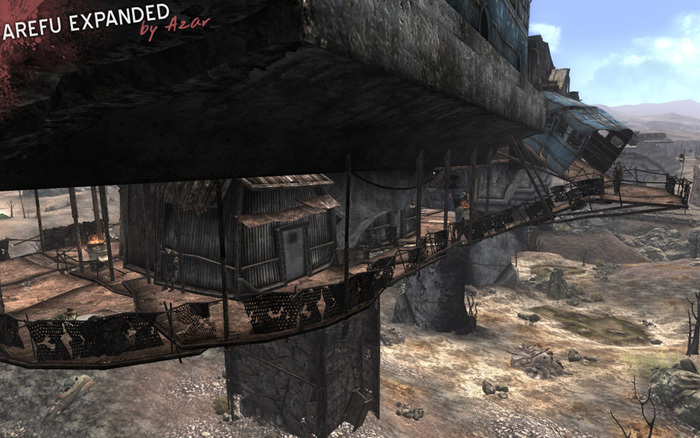 Arefu Expanded is a quest mod for the game Fallout 3. It adds new characters, quests, and locations to the town of Arefu. Quests have multiple solutions and interrelated sub-objectives, and allow the player to choose between good, bad, or neutral karma. 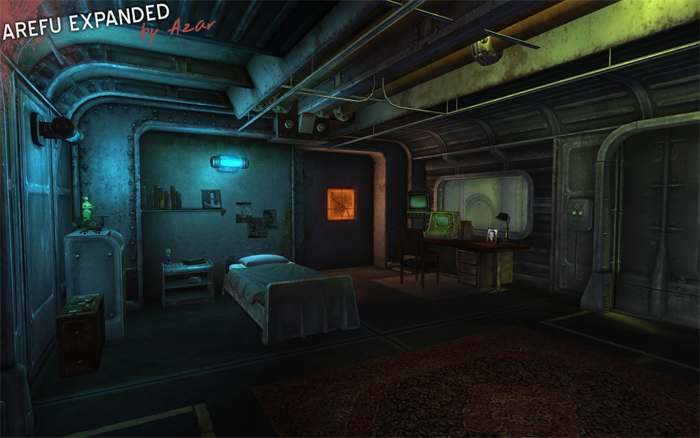 It was created with the GECK editor and uses Fallout 3's existing graphical assets as well as some custom assets, and took one month to make. I was responsible for level design, level layout, level scripting (AI, puzzles, etc. ), game flow, story writing, play testing, and user support. Since it's relese in September of 2009, it has become one of the top downloaded quest mods, and has received very positive user feedback. Click here for a walkthrough document of Arefu Expanded. 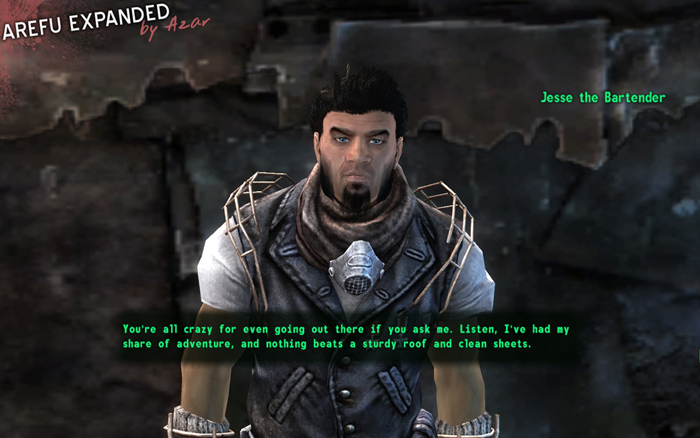 The Sleaze - One of the quests in the mod, featuring lots of NPC interaction and puzzle solving. For better playback quality, switch the settings from 360p to 480p. 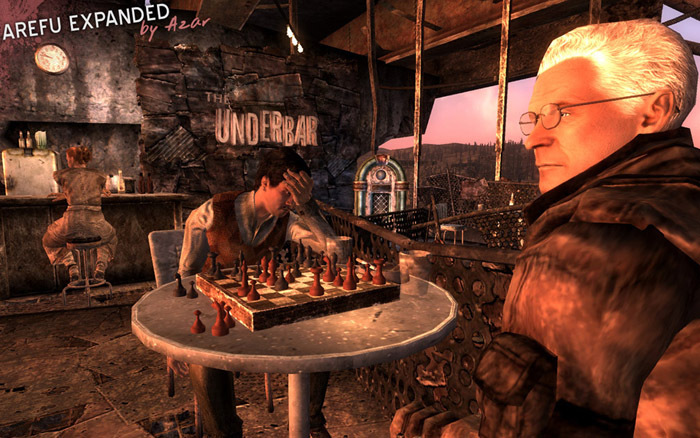 The Chess Game - One of the puzzles in the mod. For better playback quality, switch the settings from 360p to 480p. Player Home - A vault home that the player earns upon completing the main quest. It features a jukebox with a custom playlist, functional lights, a storage room for ammo and armor, a fish aquarium, a jacuzzi, and customizable picture portraits of old movie stars. For better playback quality, switch the settings from 360p to 480p. An exterior shot of Arefu at sunset. 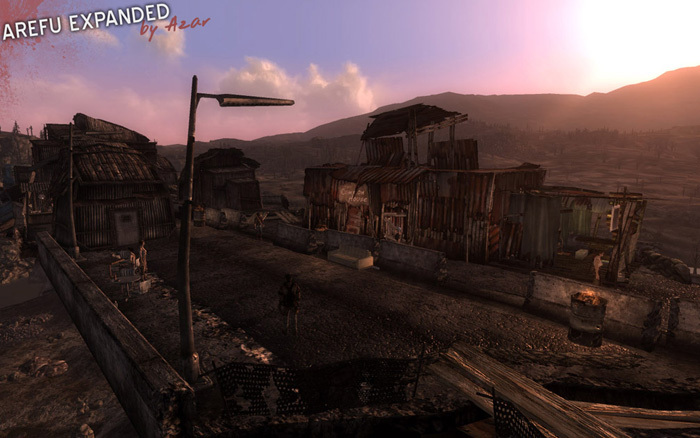 This area is at the rear of the town, and was empty in the original game. 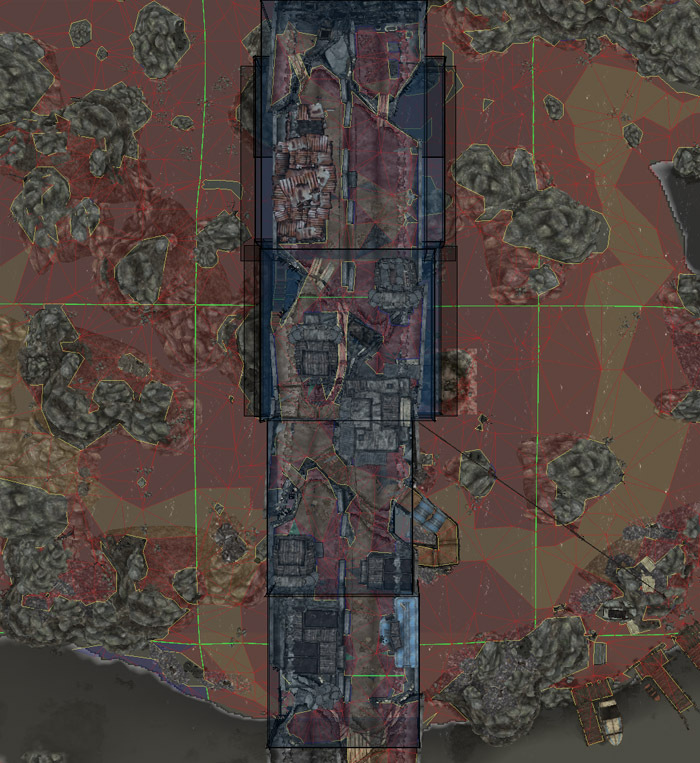 I added new houses and new characters, including the "Common House", a half way house for Wasteland travelers. This is David Xu and Marcus Ramsey, two characters you meet in the Underbar. You must help Ramsey beat Xu at chess so that he will help you repair something in your house. I included three different ways to accomplish this (bribe Xu, threaten Xu, motivate Marcus). This is Jesse, the bartender of the Underbar. He gives you the main quest and gives some information as to what is going on around the town. This is the Undersection, a new area that I built under Arefu. I liked the idea of giving layers to the town in the form of suspended hanging architecture. Arefu Expanded as seen in the GECK editor. New trigger volumes were added at the entrance of the town for the new quests. One of the triggers also returns any townsperson NPC that triggers it back to the town center. This prevents town NPCS from fleeing, which can sometimes happen if they get scared by hostile creatures that come into the radius of Arefu. Collision boxes were added in various areas to prevent NPCs from falling off the bridge. 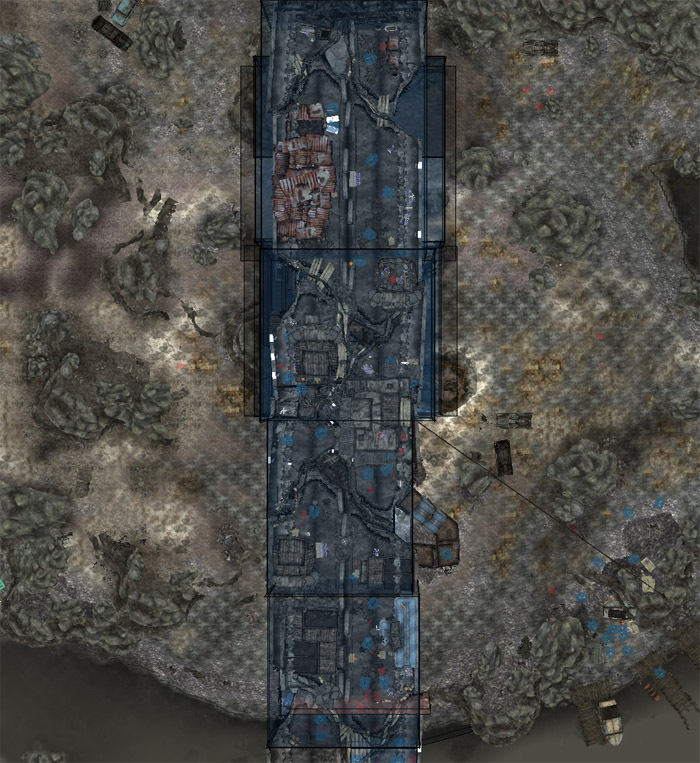 The rear of the town, as seen in the GECK editor. A top-down view of Arefu Expanded in the GECK editor. Because of the amount of new content added to the town, it needed to be optimized for better performance. 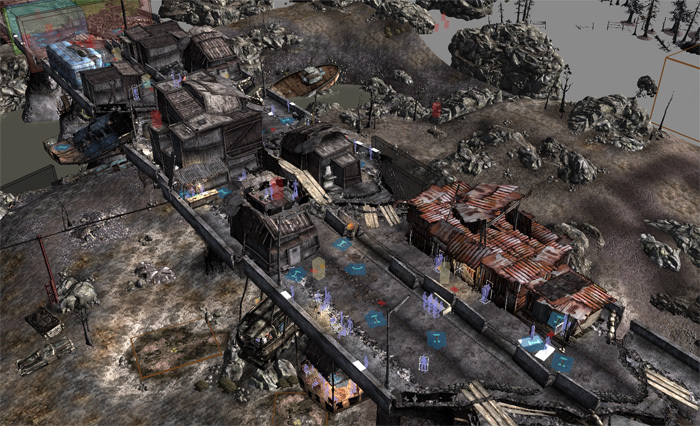 Room bounds and portals were added to facilitate faster loading of the different sections of the town. I also staggered the schedules of various NPCS so that they did not wake up or sleep at the same time. A top-down view of Arefu Expanded in the GECK editor. New navmesh had to be created for the expanded sections. 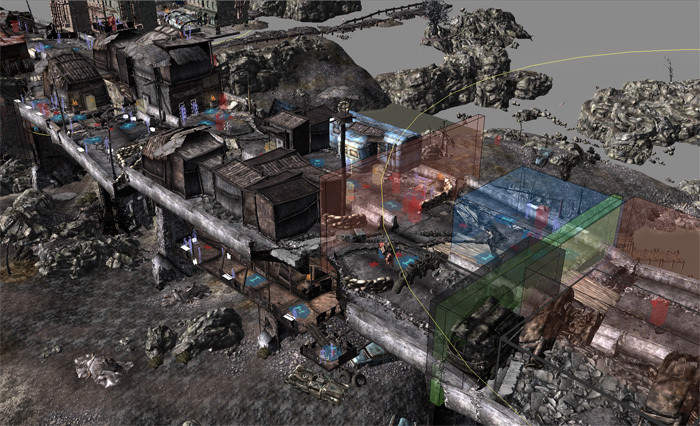 The surrounding navmesh also had to be modified for better AI pathfinding. This is the player home that you earn upon completing the main quest. It is a luxurious underground vault that was abandoned by it's previous owner. 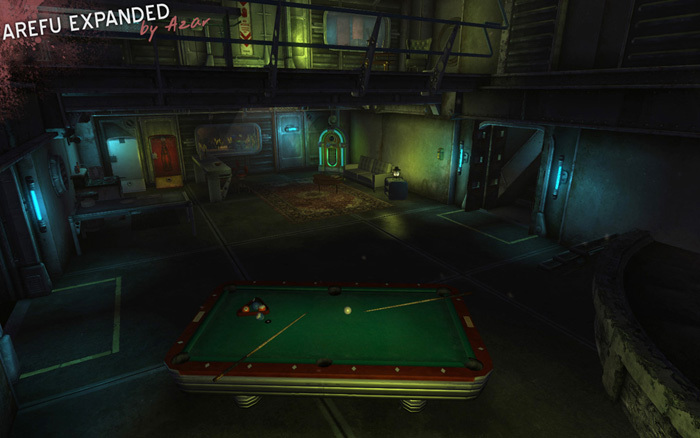 It features a jukebox with a custom playlist, functional lights, a storage room for ammo and armor, a fish aquarium, a jacuzzi, and customizable picture portraits of old movie stars. The bedroom of the player home. A top-down view of the player home in the GECK editor.